How do we sum up the last few weeks in just one email? On 12 October 2015, we joyfully welcomed our baby boy, Titus William Hedding into our lives. He surprised us by coming 2 days before Chrysti's induction, and he continues to be full of surprises. Life with Titus the last 2 months have been a roller coaster. We started at a high with the birth and it has been mostly downhill ever since with the occasional loop-the-loop to add some variety. Before Titus was born we knew of a few things wrong with Titus. Over the past couple of months we have been in 3 hospitals, travelled from Carlisle to Newcastle before ending up in Leeds and found many more physical things wrong with him. We have been so busy with living at hospital that we have yet to get out an update. Each time that we sit down this week to write we have been called away to another visit with the doctors. Last week Friday he had his second surgery. The plan was to repair his liver function. In the end that surgery couldn't be done because his liver was badly formed. We were told he would need a liver transplant within his first year of life. Yesterday the cardiologist and hepatologist (liver doctor) met with us to tell us that doing a liver transplant would cause his heart to fail and he would die. If they were to repair Titus' heart, his liver would fail and he would die. If they do nothing, he will die of liver failure before his first birthday. We're now talking about making Titus as comfortable possible for the last few months of his life. Asher and Eva Joy are coping remarkably well. They have been with us through most of our journey. We sent them off to stay with a family from church on Thursday last week and they have been there ever since. We have yet to break this news to them. The family of God has been amazing through this journey. All the practical help and prayer has been a testimony to all the medical workers taking care of Titus. Titus' condition is stable, but very changeable. He has bronchiolitis now. This is quite serious for a sickly baby like him. We are praying he does not need to go on the ventilator. 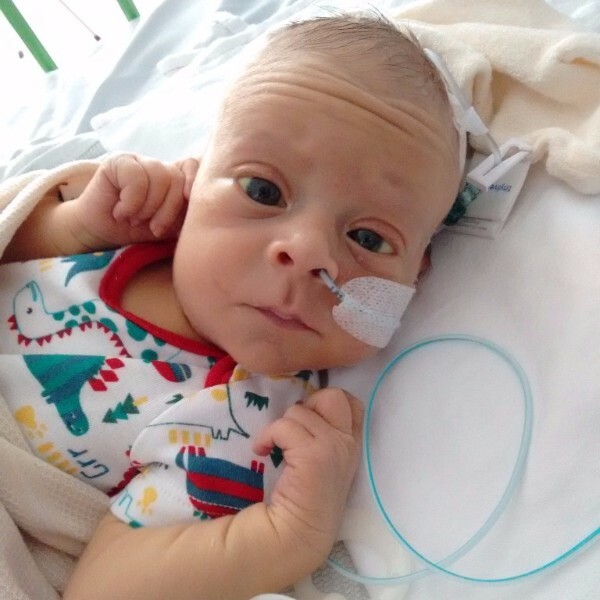 We hope to take Titus back to Carlisle for palliative care soon. We have peace despite the events of the past few days, and we know this isn't a surprise to God. "For he will hide me in his shelter in the day of trouble; he will conceal me under the cover of his tent; he will lift me high upon a rock." "Shadrach, Meshach and Abednego replied to him, ‘King Nebuchadnezzar, we do not need to defend ourselves before you in this matter. If we are thrown into the blazing furnace, the God we serve is able to deliver us from it, and he will deliver us from Your Majesty’s hand. But even if he does not, we want you to know, Your Majesty, that we will not serve your gods or worship the image of gold you have set up.’"